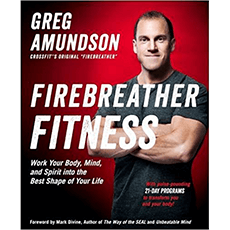 In “Firebreather Fitness”, former SWAT officer, DEA Special Agent, U.S. Army Captain, and founding CrossFit coach Greg Amundson offers a program to help you get into the best shape of your life. He shares mental toughness training, spiritual practices, advice, and experiences to help improve physically, mentally, and spiritually. This book is intended for those interested in pursuing a high-performance life.